He’s Had Enough will break from post position #12 in the UAE Derby with 15-1 odds. The 2013 UAE Derby takes place Saturday March 30 in Maydan, United Arab Emirates. 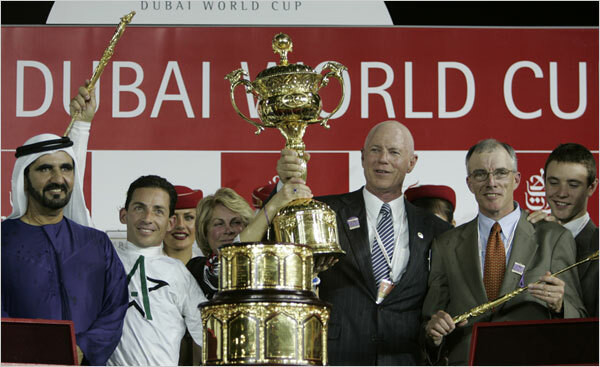 The UAE Derby takes place annually during the Dubai World Cup. The 1 3/16 mile synthetic track draws twelve three-year-old male contenders. Lines of Battle and He’s Had Enough are the only two Kentucky Derby hopefuls competing for the $2 million purse and 100 points towards their 2013 Kentucky Derby entry. 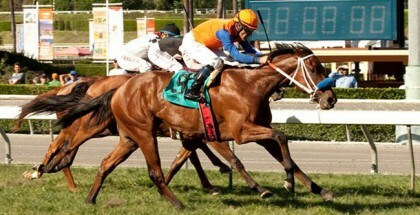 He’s Had Enough currently has six points on the 2013 Kentucky Derby Leaderboard. 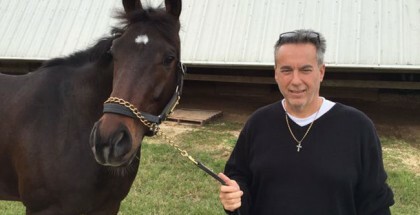 He is trained by Doug O’Neill and will carry jockey Mario Gutierrez to the finish line. He’s Had Enough breaks from post position number twelve with 15-1 odds. Lines of Battle doesn’t currently possess points on the Kentucky Derby Leaderboard but is said to be a strong contender in the UAE Derby. Lines of Battle breaks from post position number four with 8-1 odds. Experts predict Lines of Battle will do well in the UAE Derby because he runs well on synthetic tracks. I’m no expert but I’m putting my shoe shopping money on Snowboarder with 25-1 odds. Zahee and Snowboarder had earlier placed in the Group 3 U.A.E. Two Thousand Guineas. They are the only two who will have competed in all three legs of the 2013 UAE Triple Crown. I also like He’s Had Enough simply because he’s a grey horse! 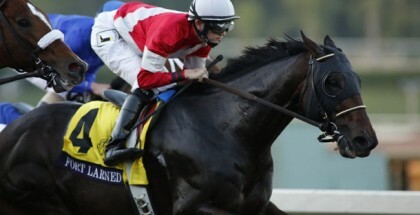 Post time for the Dubai World Cup is 4:30 PM, approximately 8:30 AM EST for us in the States. The UAE Derby should take place shortly before that. 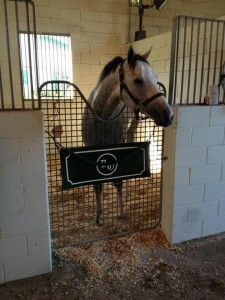 Lady and The Track would like to wish all of the contenders in the 2013 UAE Derby the best of luck! Good Luck! Safe Run!